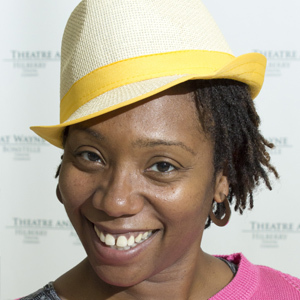 Billicia Hines is an assistant professor and is director of the Black Theatre Program at Wayne State University. Previously, she was director of theatre at Elizabeth City State University. She began her formal training in drama in the high school program at the North Carolina School of the Arts. Thereafter, she attended NC Agricultural & Technical State University in Greensboro, NC (BFA, professional theatre) and University of Missouri at Kansas City (MFA, acting). She is a certified teacher of the Michael Chekhov Technique from the Great Lakes Michael Chekhov Consortium, an organization in which she proudly holds the position of associate artist. Billicia has presented Michael Chekhov Acting Technique workshops throughout various universities and theatre conferences. Also, she has performed the one-woman shows, Hela: The Immortal Cell Line of Henrietta Lacks, Testimonies of Truth: Truth, Parks, and Giovanni, and “Flying on Broken Wings: A Journey through Domestic Violence”. She has also found time to do voice-over work, independent films and many other promotional videos. To know more, visit her website, www.billicia.com.